Facility cleanliness: I believe this is very important to a student’s overall success. Air quality, cleanliness of the equipment being used and continued maintenance shows that the teacher and team are attentive to details and values the students or clients at a high level. When you are sweating and working hard you don’t want the distractions of sweat stains, offensive odor or unsafe equipment being used. Facilities should be cleaned regularly to ensure the highest experience. Training Routine and Curriculum: The curriculum should be easy to follow, safe for the participants and allow for accountability of progress. You are enrolling for a reason, while there are no guarantees in life; you want to stack the deck in your favor. If the curriculum is easy to follow that translates to certainty and predictability. The last thing you want to have happened while you are making efforts to enhance your life is a needless injury that sidelines you. A program that was thoughtfully assembled with students like you in mind can make all the difference in the world. If you are a 45- year old women and the class curriculum gears itself to 22-year-old male athletes approach, as competent as the instructors may be it will be a mismatch. An easy way to assess this is to view a class. See if with reasonable effort you could acclimate yourself to the training. Your Training Partners: The people involved in the training create the culture. Are you looking for a militant fear-based training program where the competitive nature of the training involved creates progress or do you prefer a welcoming environment where everyone encourages each other and realizes they are all part of the same team? Nothing is right or wrong it is just what do you prefer. Again, you will get a sense of this by watching or participating in a class. 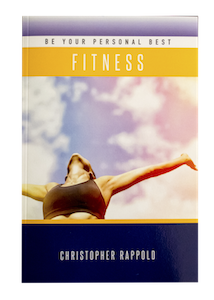 Master Christopher Rappold has authored many books on personal development as well as self-defense and bullying strategies. His book Be Your Personal Best: Fitness helps you to change your mindset so you can establish goals and make healthier habits. If you would like a free copy of this book, please visit here.